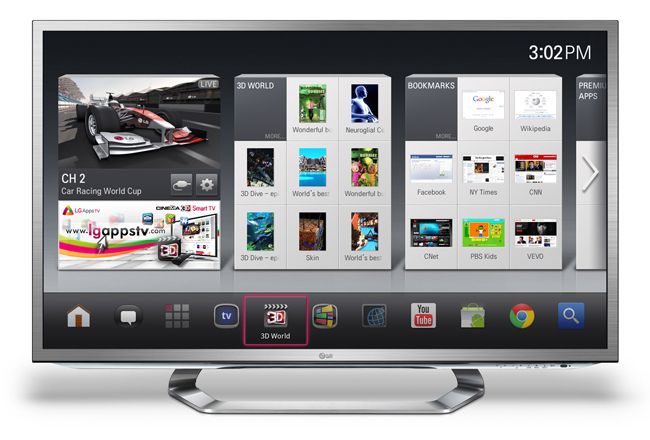 Google is trying to reboot their Google TV venture this year and LG is the first to get into the game with them. Back at CES in January, they showed of two sleek LED models that they said we would be seeing sometime soon. Rumors have been swirling around about the price and availability of these new sets, but LG has just announced the first two models. The first piece of the puzzle comes from LG executive Ro Seogho, saying that they will be available in the US on May 21. But how much will they cost you say? There are two sizes, 47″ and 55″ that will run you $1699 and $2299 respectively. Whoa. Willing to give Google TV another try at that price point?